Star Wars Admiral Ackbar - Valentine's Day...It's A Trap!!! 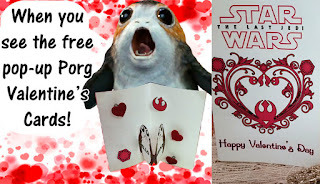 The best of free Star Wars themed Valentine's Day in 2018! Valentines on Creative Green Living. 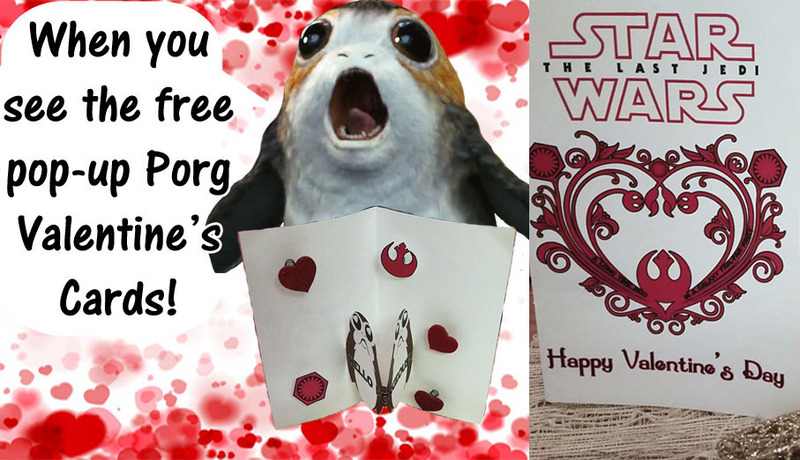 * Natalie from Doodlecraft posted these adorable Porg Valentine's you can make yourself. 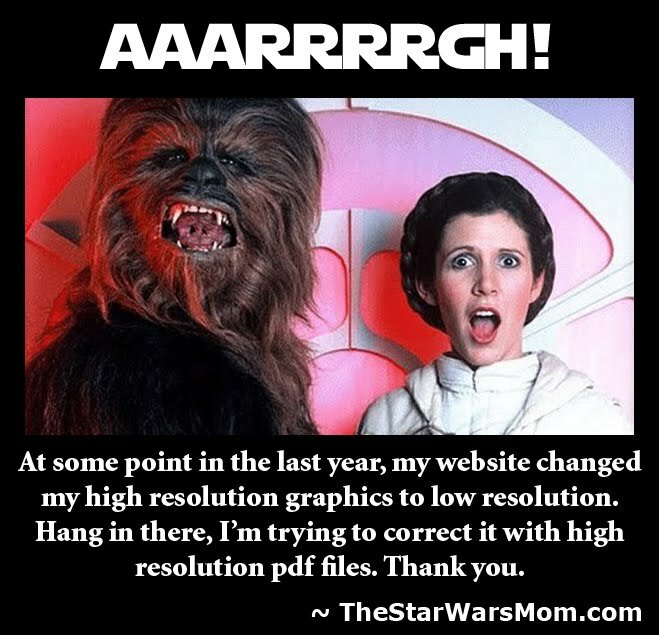 She has the free template posted along with instructions on Creative Green Living. These would be fun for the kids to make and hand out to their friends at school or a party. 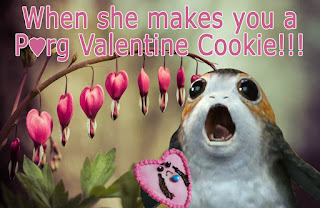 Porg Valentine Cookies for your Sweetheart! You can make any type of sugar cookie heart and stencil this adorable Porg onto it for a scrumptious Porg Valentine's Day treat. These were a huge hit with the kids. 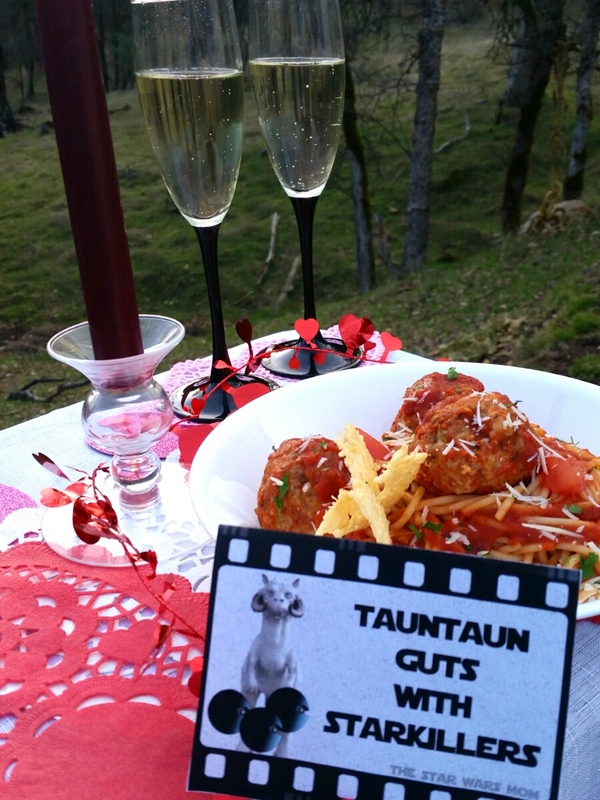 Next up, we have Vicky Bermudez on YouTube sharing her ideas for cute Star Wars Valentine's Gifts. Then we have my precious pop-up Porgs Valentines. 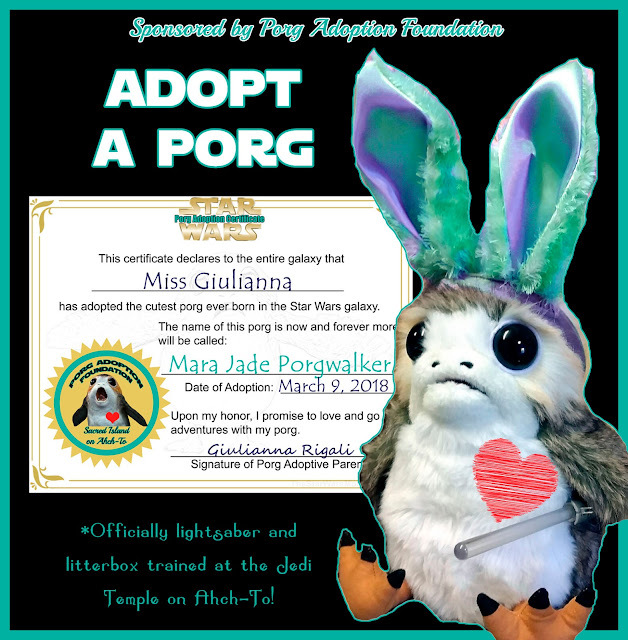 Inside two porgs pop-up to say "You're UnPORGettable" or "Hello PORGeous!" And more cute springy Star Wars Symbols and Hearts!!! 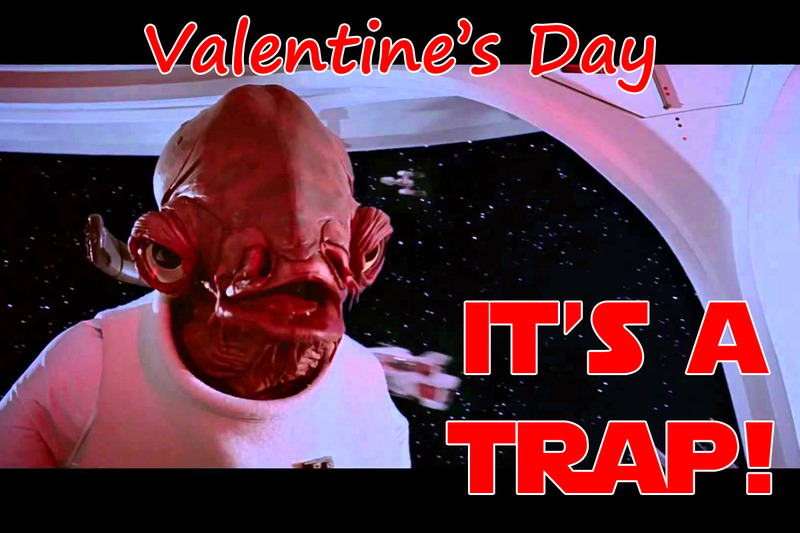 In the past years we offered a myriad of other Valentine's cards and treats, so I'll post those for you as well. 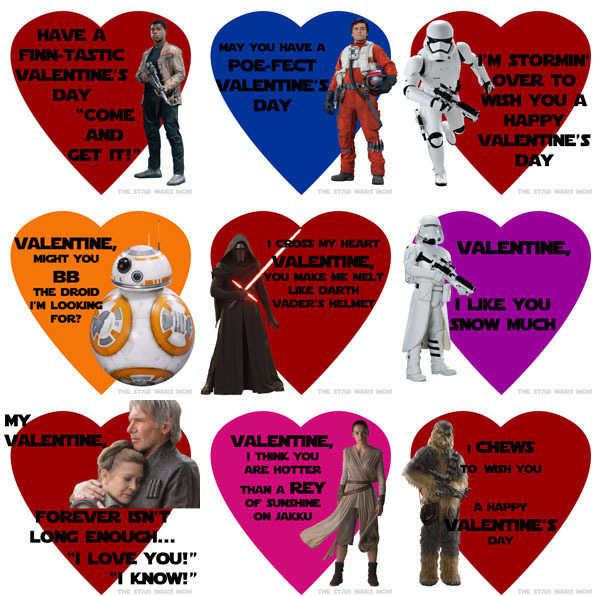 A couple of years ago we brought you The Force Awakens free printable Valentine's Day Cards. 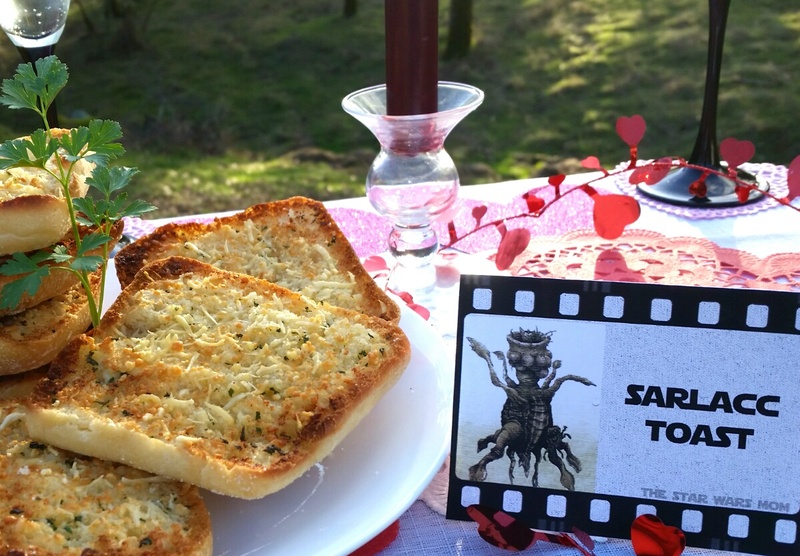 Then we added some Cheesy Garlic Bread - Sarlacc Toast to the meal. 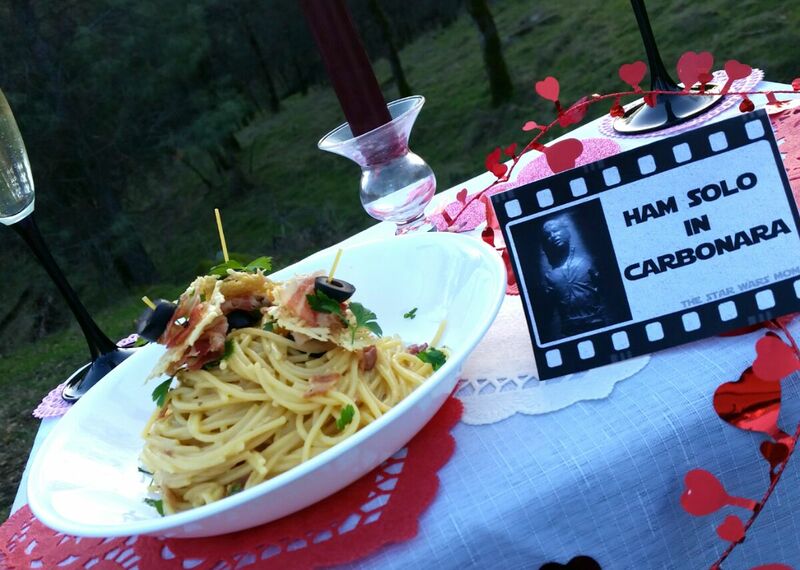 If you absolutely want something different than spaghetti with meatballs, perhaps some Ham Solo in Carbonara is right up your alley. We know it's one of Boba Fett's favorite meals! 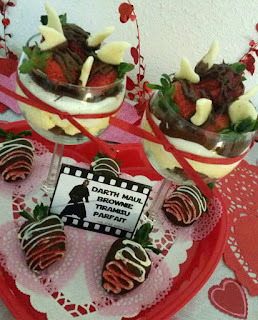 For dessert, is there anything better than a Darth Maul Brownie Tiramisu Parfait? If you enjoyed these ideas, please share this page with your family and friends! Thank you!